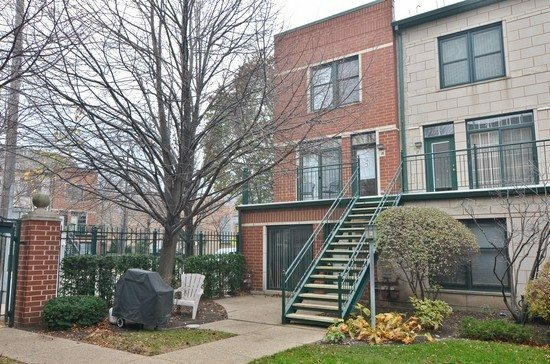 This beautiful 3 bedroom 2 bathroom corner unit townhome is located in the gated community of Dearborn Village in the South Loop. Your family can spread out with 2240 square feet of living space across 3 floors with an extra large footprint. The main level is entered from the building’s second floor and features gleaming hardwood floors throughout with crown molding and a fireplace in the living room. 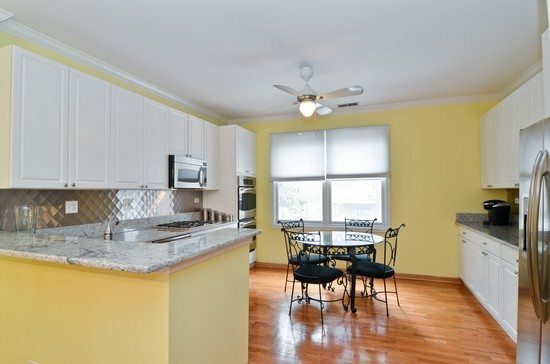 The kitchen features stainless steel appliances, a double oven and granite countertops, plus a breakfast bar and enough room for a table as well. 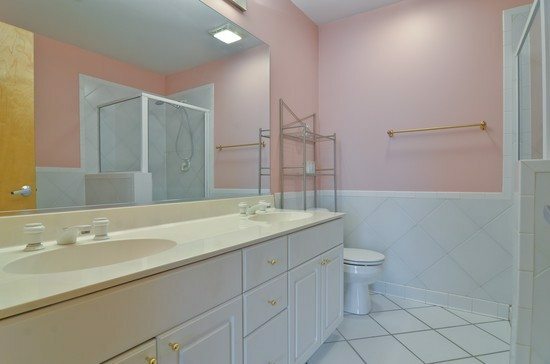 All three bedrooms are on the second level along with two full baths. The third level family room has a large deck with amazing city views. This huge unit also has a 1 car garage and an outdoor parking space. Rated an “89” on walk score. Close to Chinatown and the State Street restaurants and stores. Easy access to public transportation and expressways. 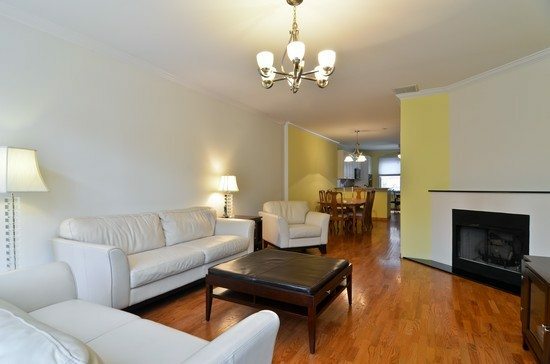 Gleaming hardwood floors greet you as you enter this extra large townhome. 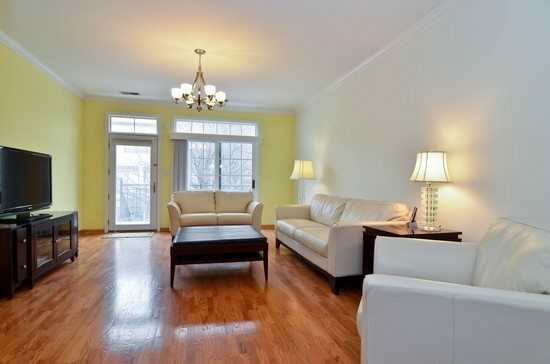 Crown molding throughout the first floor and a gas fireplace for those cold winter nights. White cabinets and designer grey granite countertops are featured in this cook’s kitchen. Stainless steel appliances and a double oven make cooking a dream. The bright roomy master bedroom has an attached bathroom and 3 closets for extra storage. The master bathroom has a jetted tub and a walk-in shower with double sinks to complete this master suite. With all three bedrooms and two full baths on the same floor your family will be together at night. 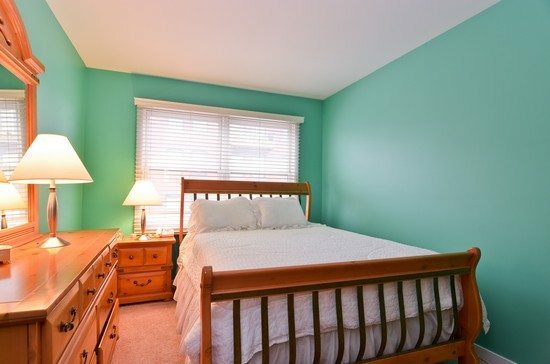 The spacious second bedroom is great for your guests or family. 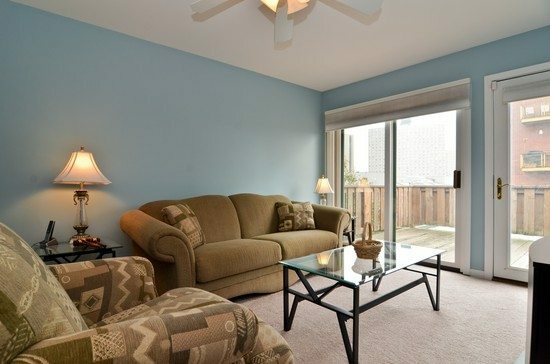 This large family room on the third level is great for watching TV or entertaining your guests. Walk out to the large 12 x 10 deck to enjoy the amazing city views.